About 19% of California community college students surveyed reported experiencing homelessness within the past year, according to the Hope Center. College students experiencing what some would call the best formative years of their young lives are not immune to the growing homelessness problem. A new bill in California would require community colleges to allow homeless students to sleep in their cars overnight. The parking proposal, AB 302, is part of a larger movement to address a growing problem: the number of college students who are experiencing homelessness. 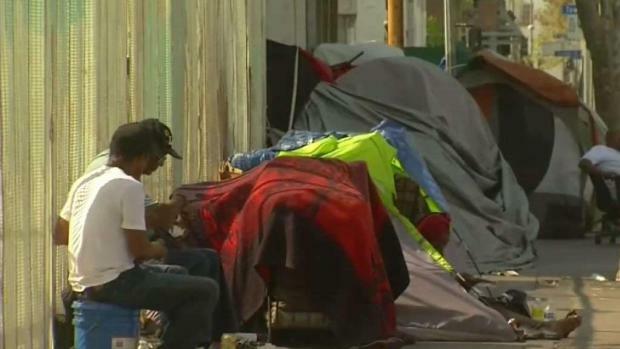 A new federal court ruling says cities can no longer give homeless people tickets for sitting and sleeping in public places unless the city can provide enough shelter beds to house the entire homeless population. Angie Crouch reports for the NBC4 News at 5 p.m. on Thursday, April 4, 2019. The survey interviewed nearly 40,000 students at 57 California community colleges, and found more than half felt insecure about their housing situations the previous year. Nearly 11% of Cal State University students said they experienced homelessness one or more times in the last 12 months, according to CSU's Basic Needs Initiative. "A lot of people tend to use the word invisible. We’re invisible people on campus," Maritza Lopez said. She's currently a student at UCLA, with a bright future. But it wasn’t that long ago she was homeless. She was attending Santa Monica College and living with nine other students at a shelter at a local church. "I didn’t have to have to worry about where to sleep," she said. "It was the first time ever I was able to sit at a dinner table and talk about college." Pastor Eric Shafer at Mt. Olive Lutheran Church said he was the only one to say "yes" when UCLA students approached him about sheltering other college students experiencing homelessness. 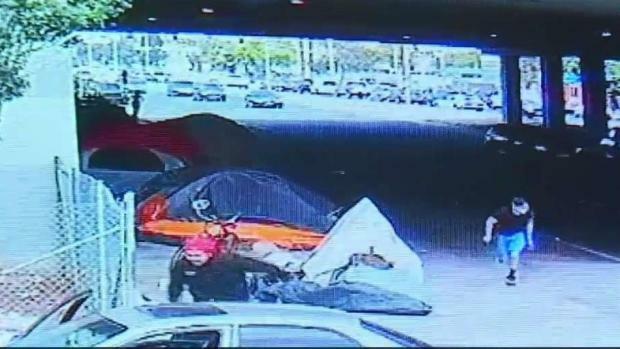 Gunfire at a homeless encampment rocks a West LA homeless encampment. Joel Grover report for NBC4 News at 5 p.m. on April 2, 2019. "And we had the space so why wouldn’t we do this," he said. Shafer said homeless students can come in many forms, from single parent families, to gay teens whose parents threw them out, to undocumented students, to foreign students who ran out of money, and had no where to turn. 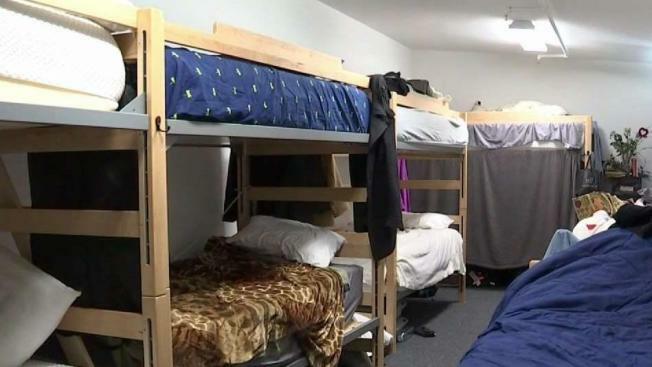 "They couch surf, they sleep in the library, they shower in the gym, they sleep in their car," said Darci Niva of the Westside Coalition for Housing, Hunger and Health. "And more and more students are doing it." Lopez’s shelter was co-ed, and students could only be there from 7 p.m. to 7 a.m. They served meals, and had the support of fellow students. Those students are now fighting for more options to keep them under at least some type of shelter, whether that be housing or their own cars. "I think it's a grand idea and I hope it will be embraced by all the community colleges in California," Shafer said. 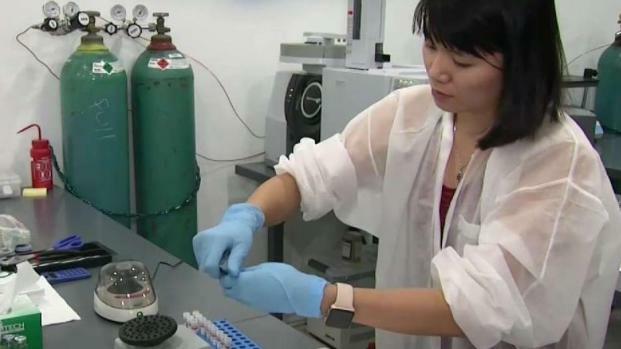 It's unclear whether community colleges support the bill AB 302, which if passed would take effect in July 2020. Heather Navarro contributed to this report.